There are four major basilicas in the world, all located here in Rome. Two of the four, the Archbasilica of San Giovanni in Laterano and Santa Maria Maggiore, are just 1.5 km (almost a mile) apart and linked by a straight road, Via Merulana. We started by heading for San Giovanni and the Christmas market set up out front. Before getting there, though, we made an obligatory stop to tour the three levels of the Basilica of San Clemente. The current basilica, which you have to climb down a flight of stairs from street level to entre, is a 12th century basilica built upon the ruins of a 4th century basilica, which is itself built over two structures including a Mithraeum – a temple to the Roman god Mithras, popular with the Legions. 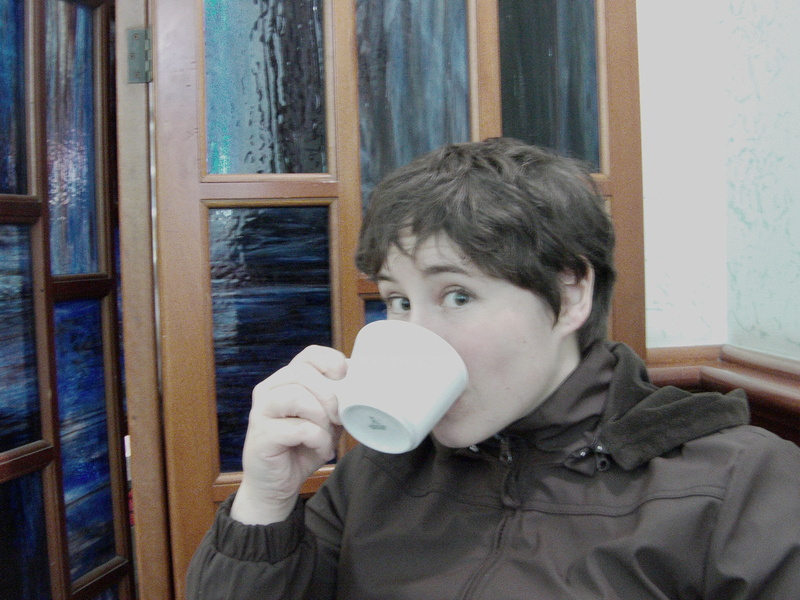 Then we stopped by a caffe bar popular with the Lay Centre residents, L’800, and had an obligatory cappuccino and cornetto. The Archbasilica of the Most Holy Savior and Sts. John the Baptist and the Evangelist at the Lateran, as it is formally named is the Cathedral of Rome, housing the cathedra of the bishop of Rome. Of all churches in Christendom, it holds a place of precedence for this reason. 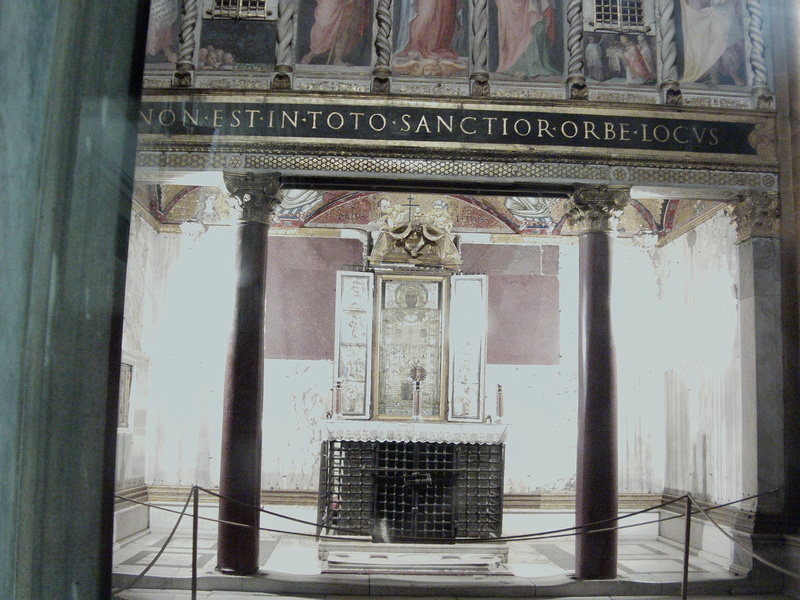 It was dedicated in 324 and for centuries was the primary church associated with the pope, who resided in the attached Lateran Palance. It is only relatively recently that the Vatican, with its “new” St. Peter’s Basilica and apostolic palace that the focus of the Petrine ministry has shifted across town. Across the street is the Santa Scala (the Holy Stairs) which, according to pious legend, were brought to Rome by St. Helen in the early 4th century from the praetorium of Pontius Pilate in Jerusalem where Jesus stood in trial before the Roman authority that condemned him to death. 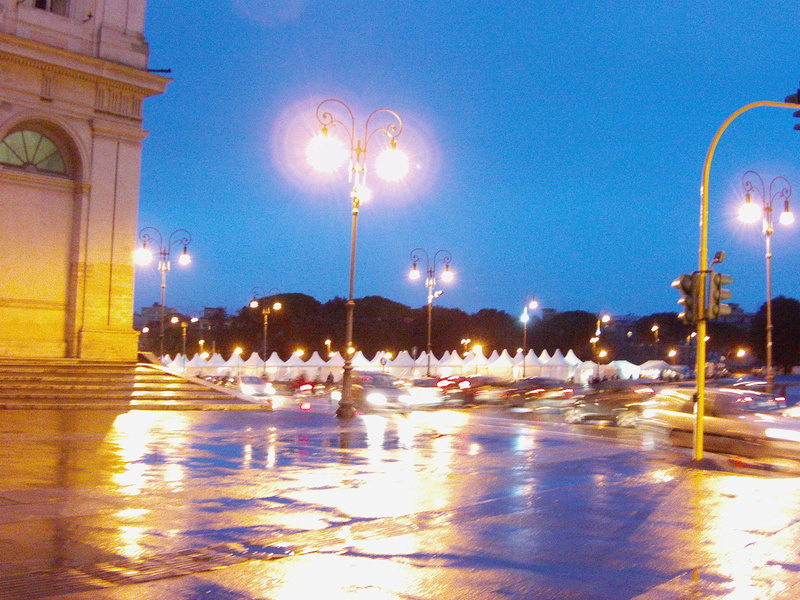 They were originally placed of the Lateran palace, but moved to the current site in the late 17th century. 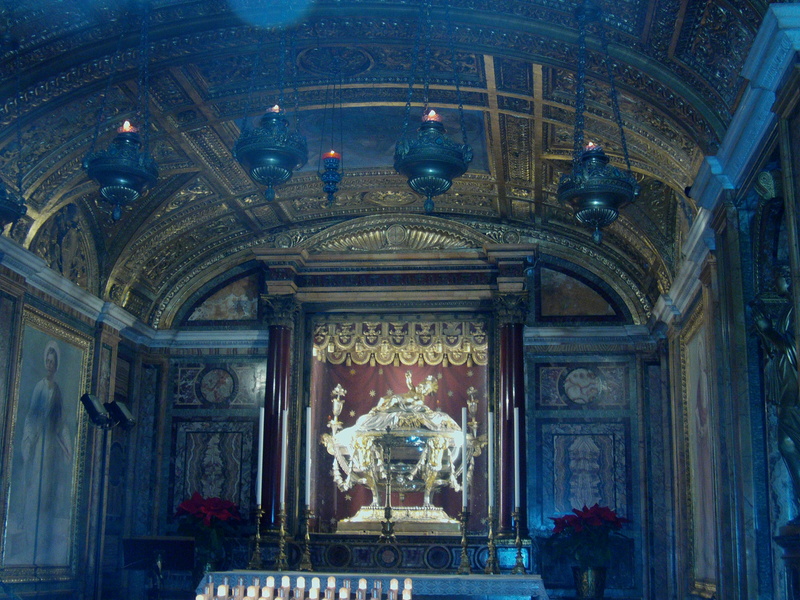 Here they ascend to the Sancta Sanctorum (Holy of Holies), once the private chapel of popes and so-called because of the extent of the reliquary contained therein. The inscription above the chapel at the top of the holy stairs even reads non est in toto sanctior orbe locus (Nowhere in all the world is holier than this place). On our way northwest to Mary Major, we stopped in at the Church of St. Anthony of Padua, titular of Cardinal Cláudio Hummes, Prefect of the Congregation for the Clergy, and then in the church of St. Alfonsus Liguori, a parish church of Rome staffed by the Redemptorists and home of the original icon of Our Lady of Perpetual Help (14th cent). 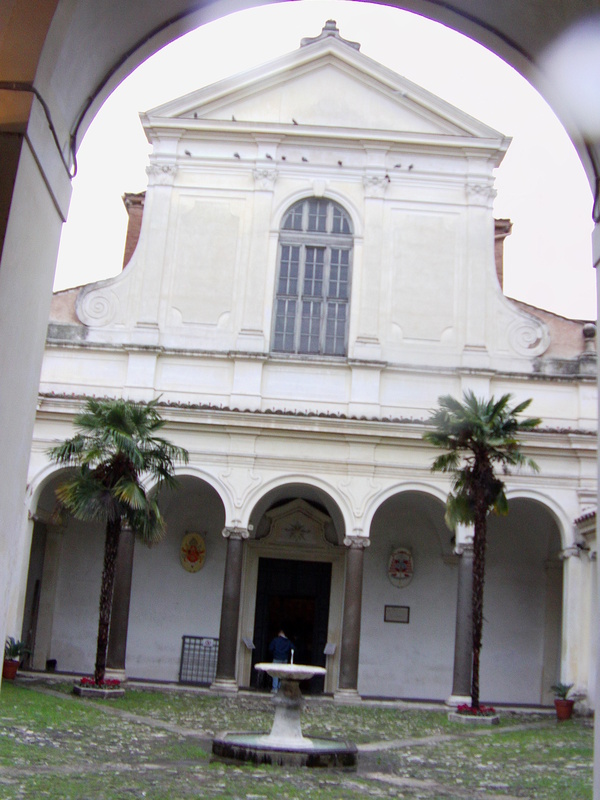 While in the neighborhood we also stopped at the Basilica of Santa Prassede, but it was closed for pranzo. 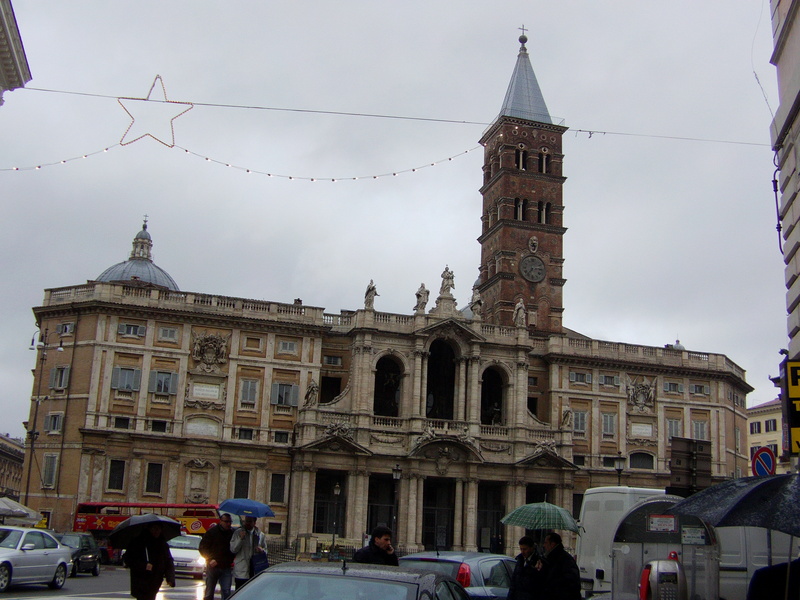 The Basilica of St. Mary Major is major both because of its status as one of the papal/patriarchal basilicas, and as the largest Marian church in Rome (out of 26!). During the messy period after the Avignon papacy, it served as the papal headquarters before the Vatican became the new site. Apparently, until the post-WWII years, the papal midnight mass was always held at Santa Maria Maggiore, and only with Pius XII was it moved to St. Peter’s in 1944. 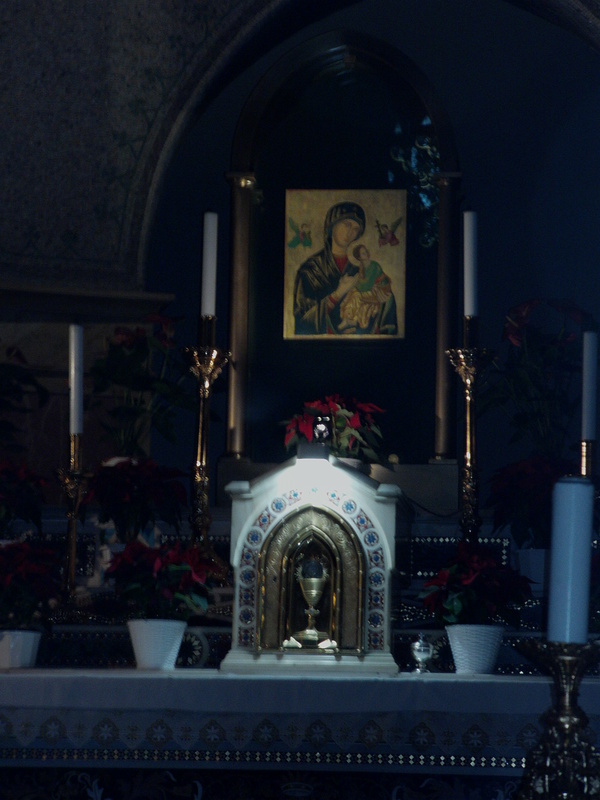 This makes sense given that the relics of the manger are kept at Mary Major, and has been associated with the Nativity for centuries. According to pious legend, a dream of Mary appearing on the Esquiline hill prompted Pope Liberius (352-356) to trace the outline of the proposed church in the miraculous snowfall of August 5, 352 predicted in his dream – the origin of the Marian title “Our Lady of the Snows”. More likely, and consonant with archeological research at the basilica, it was built and dedicated shortly after the Council of Ephesus in 431 and its confirmation of what we now consider orthodox Christology by acknowledging Mary as Theotokos (God-bearer, Mother of God). Providentially, the bookstore at the Pontifical Oriental Institute across the piazza opened just as we were leaving, so I was able to duck in and get a copy of the new 7th edition of Fr. Ron Roberson’s essential book, The Eastern Christian Churches, which has unfortunately not been available through Amazon.com or other online sources since it came out last year. By A.J. Boyd in La vita Roma on December 22, 2009 .